3 bedroom, 1 bathroom home with beach and playground access. This North-facing bungalow is perfect for summer! Its large wrap-around deck and front lawn create a seamless indoor-outdoor flow, and the beach and playground are just down the driveway. It's situated on a full section with views of the beach from the house and deck. The native wooden floors, high stud ceilings and leadlight windows create a home full of character and natural light. Snells Beach is a family friendly beach community with playgrounds, bike tracks and safe swimming for kids. 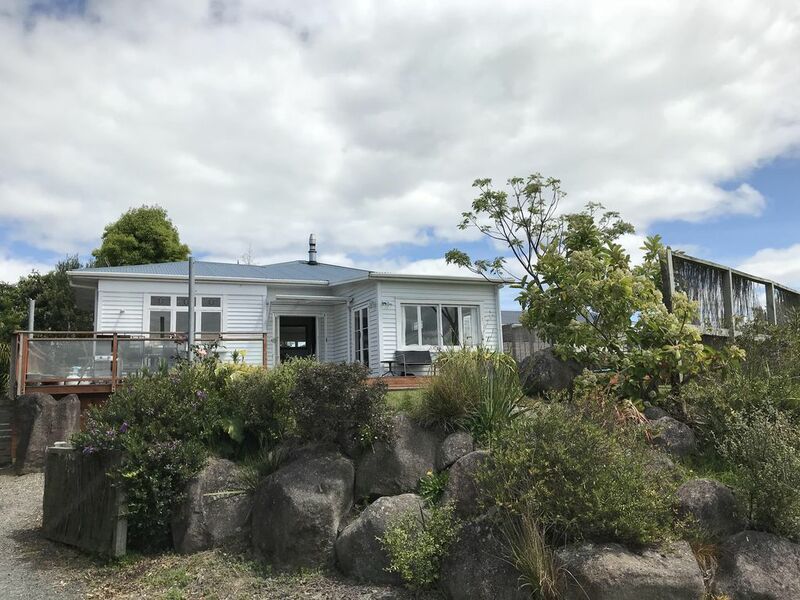 Situated in the popular Mahurangi Region, sensational vineyards, cafes, fishing spots and beautiful beaches are all close at hand. Visit Brick Bay Winery and Sculpture trail (5 min), Scotts Landing, Martins Bay, Matakana markets and movies (10 min) Omaha surf beach or Ascension Vineyard (15 min), Tawharanui Regional Park (20 min), Goat Island (25 min). For the boat-owners, Kawau Island is across the bay and there's off-street parking for the boat/trailer and a boat ramp only 100m away. As this is a residential home, we are not interested in groups​ using the house for big/rowdy parties. No pets, no smoking. Our family is made up of an app developer, a therapist and three young children. We love fishing, the sea and being close to nature. With a young family we wanted to be as close to the beach and playgrounds as possible! We love the bike/walkway that runs the full length of the beach: perfect for scooters and strollers. We love the lead-lighting, the exposed beams, the native wooden flooring and all the lovely natural light in this charming bungalow. Great location, comfortable welcoming family home with good indoor outdoor flow. Big sunny deck with shade sails. Well equipped kitchen, spacious living and dining area and comfortable beds. Owner easy to communicate with.